Every semester, Allen House hosts a home party for all Allenians to gather as a community. Good food, good entertainment, and most important of all, good people. This year’s party theme was Halloween, as the date of the party was exactly a day before the actual holiday. 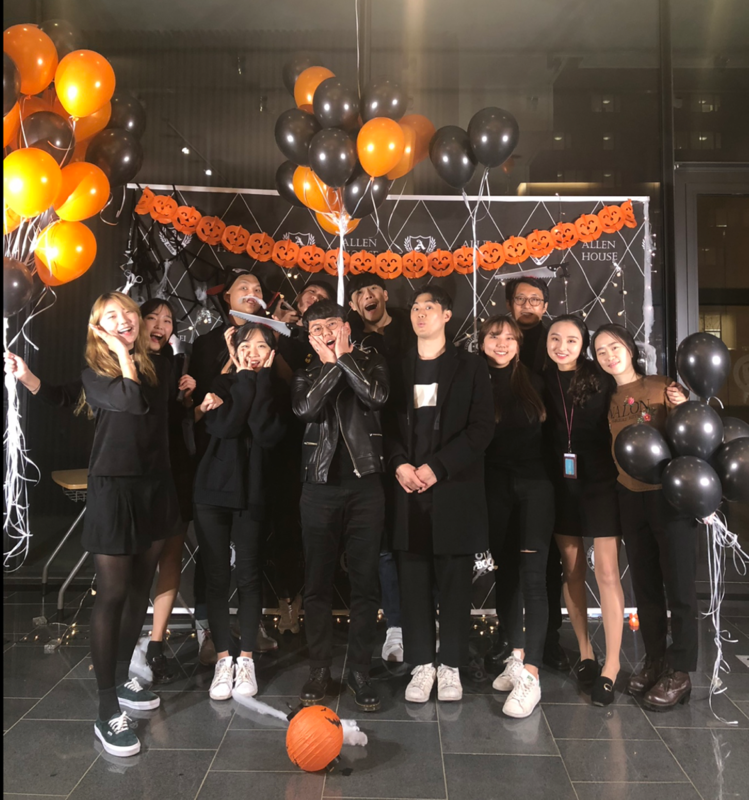 Many Allenians dressed in their favorite costumes and makeup were present at this spooky themed party to enjoy the company of others on a Tuesday night. The party consisted of many key features: a “boo-tiful” photowall for students to strike their most halloween poses, a total of four games left to the freedom of students to choose and attend, a spectacular array of catering, and a final drawing of prize winners through raffle ticket betting. The Allen House RA’s and many student volunteers from Allen House worked together to move the party equipments to the first floor of Veritas Hall B and decorate the walls and floors with glowing fairly lights. Helium balloons in the signature orange and black colors stood side by side to the spider-web-drenched photo wall, and furniture was decorated with small pumpkin lights and spider web decorations. 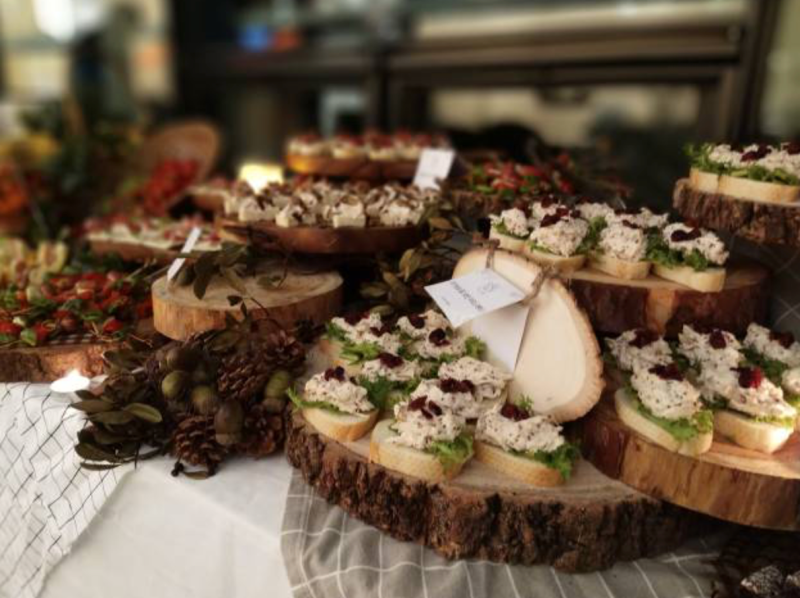 The catering matched our theme of Halloween, the time of Thanksgiving, and carefully arrayed plates of the most delicious gourmets. The games were: Musical Chair, Human Knot, OX Quiz, and Haunted Campus. Musical Chair used songs that were Halloween-related, while the OX Quiz posed questions regarding the RA’s where the Allenians were able to brag their best knowledge of their own RA’s. The most popular games were the Human Knot and Haunted Campus. Human Knot is a game where about ten people lock up their hands while standing in a circle and try to untangle the knot by working through various spaces between their bodies. The task required a lot of creative and daring tries, and groups that succeeded screamed in joy. The Haunted Campus happened just above the party hall, where various objects such as mini skeleton figures and haunted music playing through the dark halls. Although the task of simple, retrieving certain items from haunted bathrooms, many Allenians shivered in fear as they made their ways through the halls. The prize winning contest was a system that allowed Allenians to bet their raffle tickets into a drawing box. The more raffle tickets you win by actively participating in the games, the more you can put them in the drawing box and increase your chance for winning the desired prize. The prizes included a bluetooth speaker, Yonsei stuffed bears, USB’s, RM Brunch Free Invitations, and so on. The drawing of the prizes was handled by our own Residential Master, Hyunsang Kim, and a large number of Allenians went home with their hands and bellies full of prizes and food give-aways.